Leven Flowers is based in the beautiful village of Great Ayton, North Yorkshire and provides floristry services to North Yorkshire and Cleveland. Our portfolio covers all aspects of floristry from Weddings and Celebration – through to Sympathy Tributes, Corporate Work and Venue Decoration. We are able to offer a personal service tailored to your requirements, and pride ourselves on providing beautiful fresh flowers for all occasions. 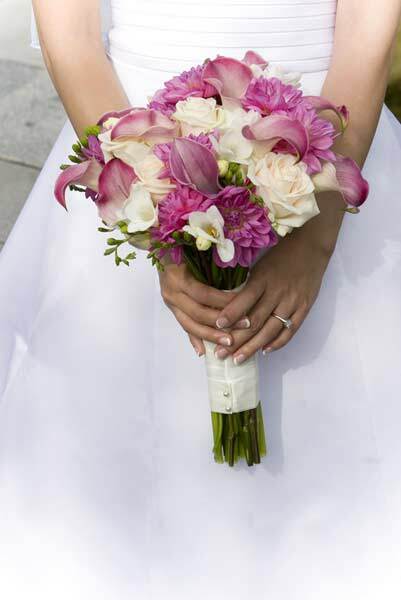 A passion for flowers and a creative eye work to design stunning flowers to fit your occasion. Our creations encompass exquisite bouquets, through to elegant table decorations and centrepieces to enhance that special day. Our Sympathy designs are created to provide a personal and fitting tribute to the memory of your loved one. We understand that this is a difficult and emotional time, and Leven Flowers will provide appropriate support and advice.